Your diligent water sensor that never sleeps, protecting your home against water leaks and water damage, day and night. 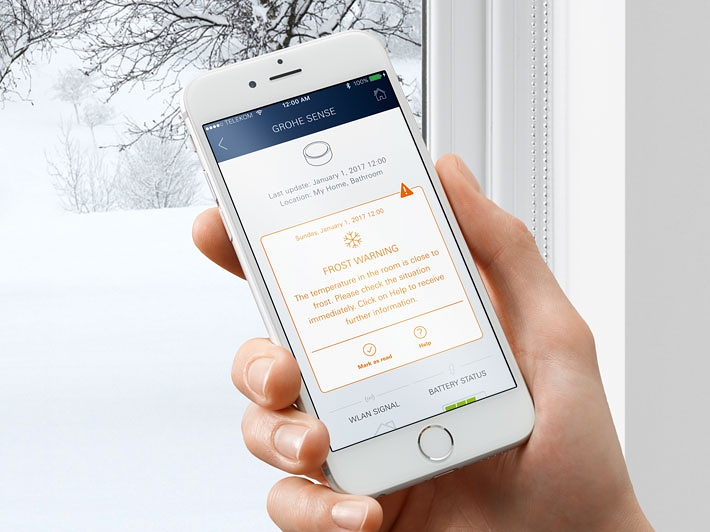 GROHE Sense responds to the presence of water where it shouldnt be, alerts you via alarm and can even notify you remotely via the GROHE Sense app. 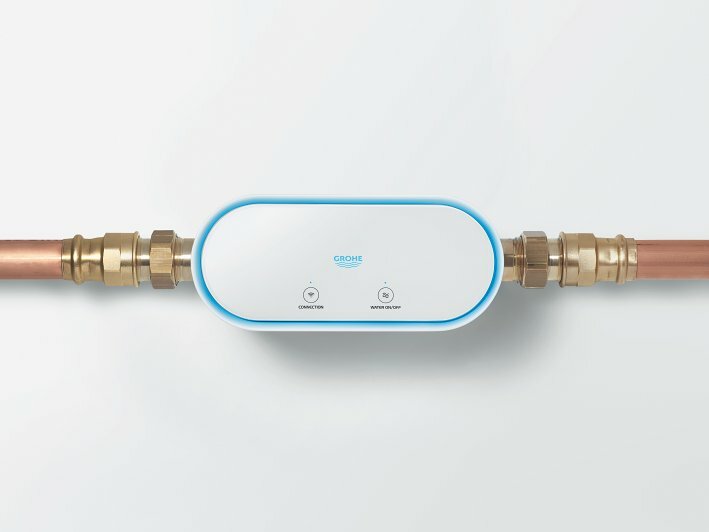 The GROHE Sense water leak detector can be placed in the cellar, the laundry room, bathroom or in the kitchen – anywhere that a damaging water leak might occur. 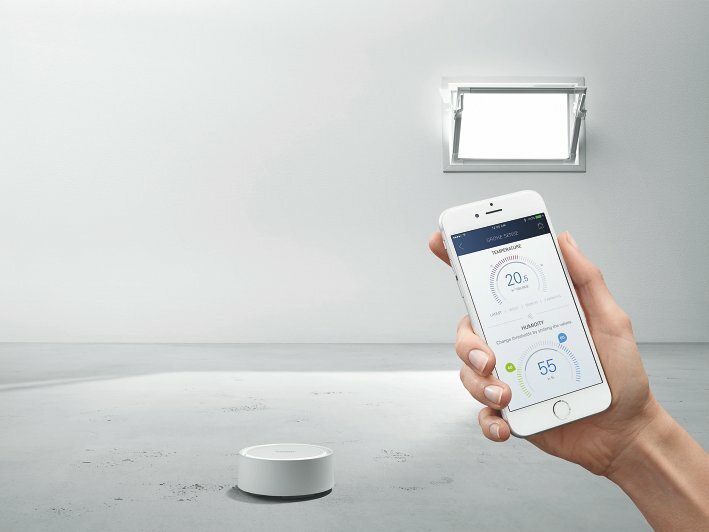 GROHE Sense detects water leaks early and gives you a real chance to react fast, avoiding costly and disruptive water damage or a full-scale flood. Additionally, it measures room temperature and humidity and alerts you when readings are unusually high or low. 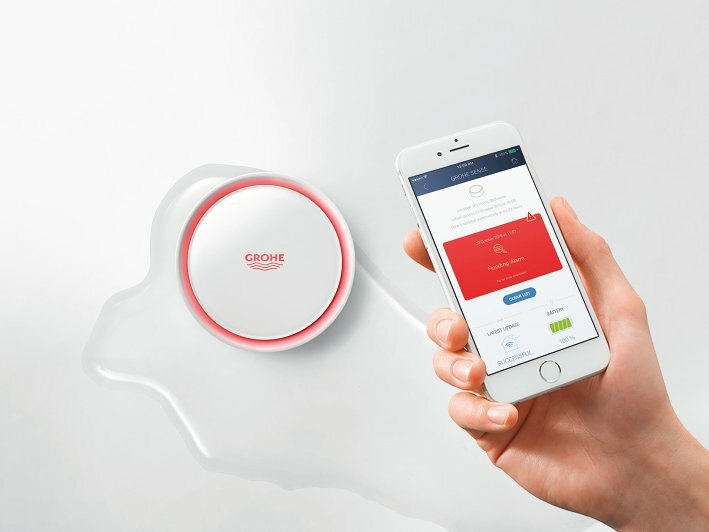 Should the underside of the water sensor come into contact with water due to a leak or water damage, you are alerted via a pulsating red light, beeping sound, and a push notification in the GROHE Sense app so that you can get there in time to stop the water leak becoming a flood. 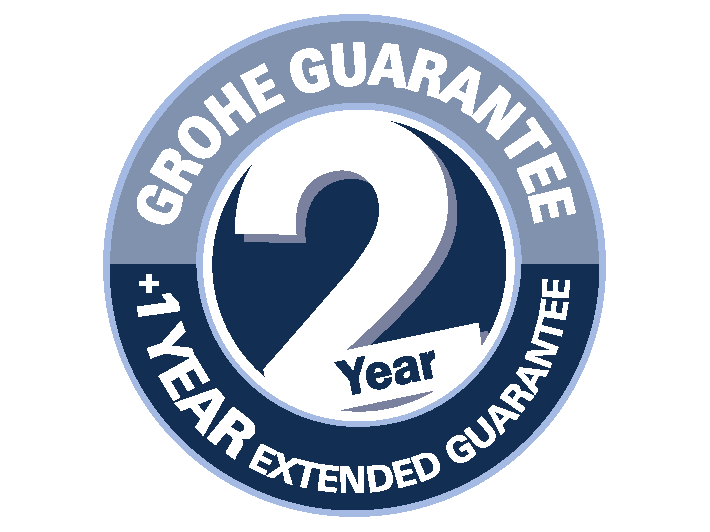 Higher level of protection is achieved in combination with GROHE Sense Guard, as GROHE Sense triggers GROHE Sense Guard to shut water off automatically. Be informed about humidity and save your house and property from the potential harmful consequences of humidity. Damp provides the ideal conditions for mould to grow. But your health can also suffer when humidity levels are too low: irritated sinuses, itchy eyes and dry skin and an increased risk of colds can result. The GROHE Sense water sensor alerts you when the humidity rises above your set humidity level or when it drops below your set threshold, allowing you to act early. 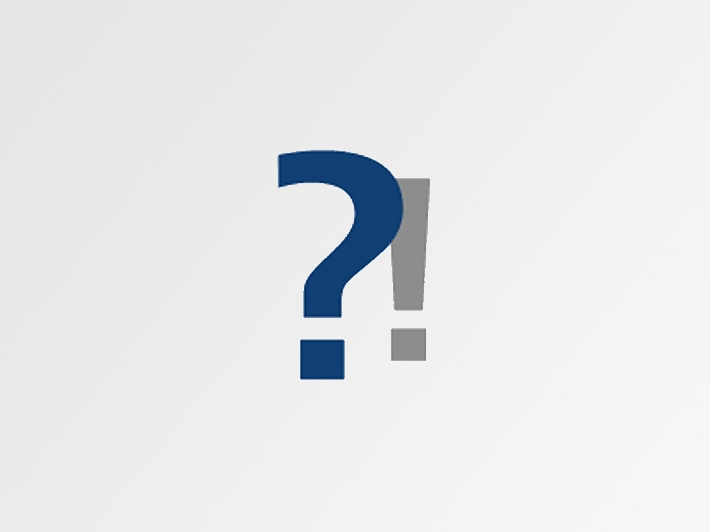 The danger of frost damage to pipes is greater in rooms that are unheated and not often checked, like the cellar or weekend homes that may stand empty much of the time. GROHE Sense water sensor alerts you when the room temperature falls below 3°C, so you have time to react. 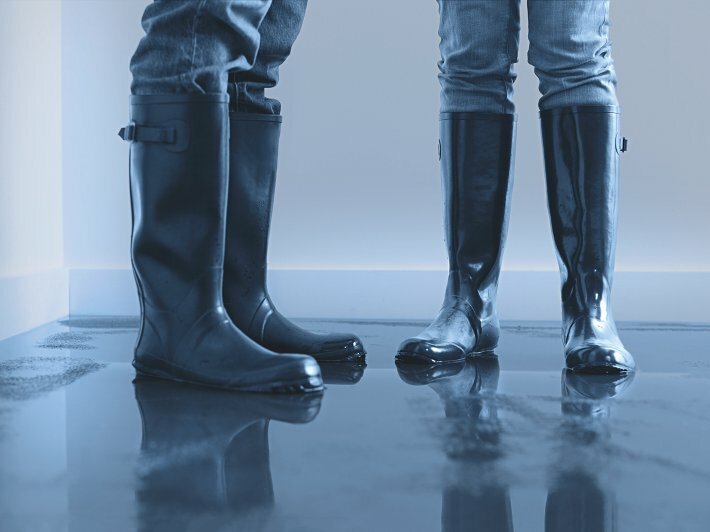 54% OF HOUSEHOLDS EXPERIENCED A WATER DAMAGE IN THEIR HOUSES. * A water leak at home, leading to water damage to furnishings, floors and walls, can be devastating – and costly. 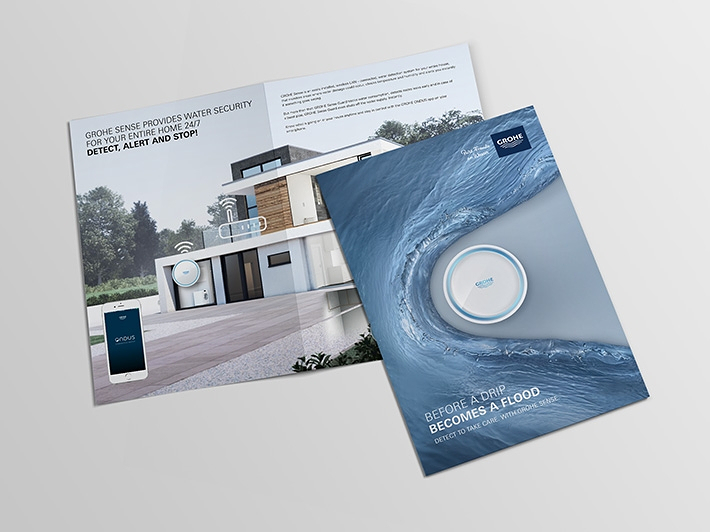 Cleaning up after a flood is a disruptive and all-too-common event which can be avoided by using smart home technology like the GROHE Sense water sensor and GROHE Sense Guard water shut-off system. HOW DOES GROHE SENSE WORK? GROHE Sense is placed on the floor, at the lowest place in a room. When the two water-detecting metal pins on the underside of the water sensor come in contact with water, GROHE Sense alerts you automatically. Room temperature reaches a critical level (above or below the set threshold). Room temperature falls below 3°C – a potential frost risk. Humidity is critical for more than 3 hours (above or below the set thresholds). 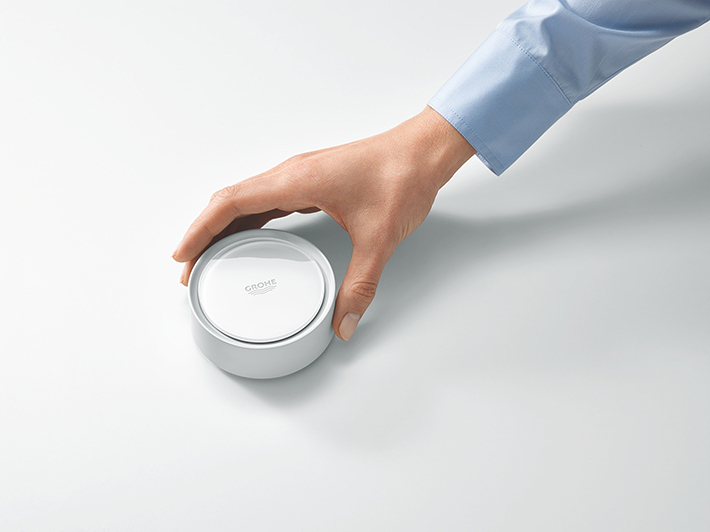 Note: GROHE Sense can not be used as a fire alarm, as the device measures temperature just once every hour! Receive situation-dependent alerts via pulsating red light, beeping sound, push notification or email. Protection boost with a complete set of the devices. When a water leak is detected by GROHE Sense water sensor, main water supply can be shut off automatically by GROHE Sense Guard. Password-protected WPA or WPA2; connection into open networks without password is not possible due to data security reasons. Frequency of 2.4 GHz; doesn´t work with 5.0 GHz. Only Wi-Fi channels 1 – 11 can be used. Durable battery power usage for up to 4 years. 3 x AAA batteries are used, and are included in the product packaging. With closed cap protected against spraying water. 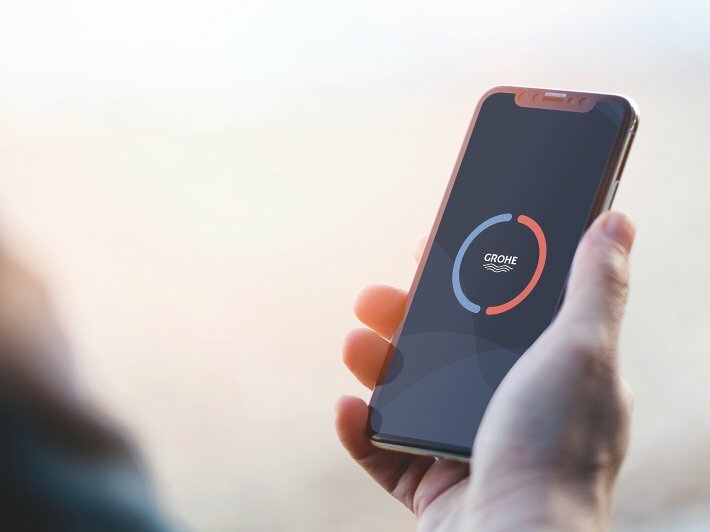 GROHE Sense app is your one point to access and manage all GROHE connected products from your mobile device. 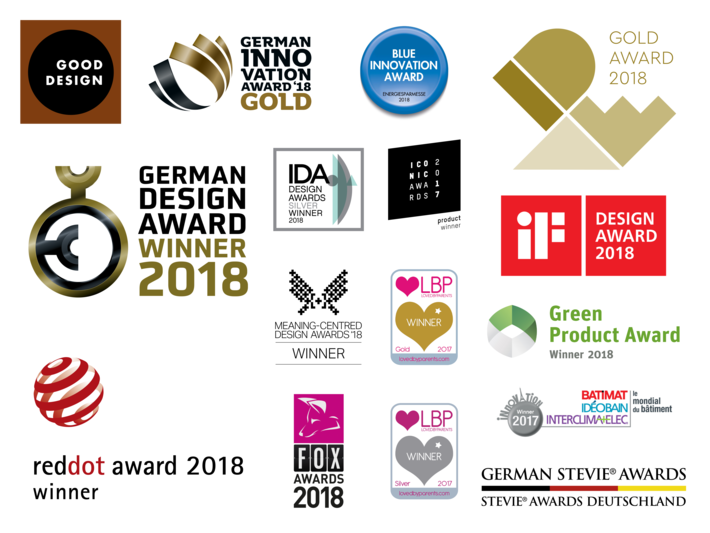 The GROHE Sense water sensor has won numerous prestigious awards for innovation, technology and design. How to install and set up the smart water sensor. The personal water management app. *Source: The ConsumerView, January 2017, Quantitative Assessment Europe.